What would better way it has been for charging up the Velocitians to be more enthusiastic and competitive than sports? 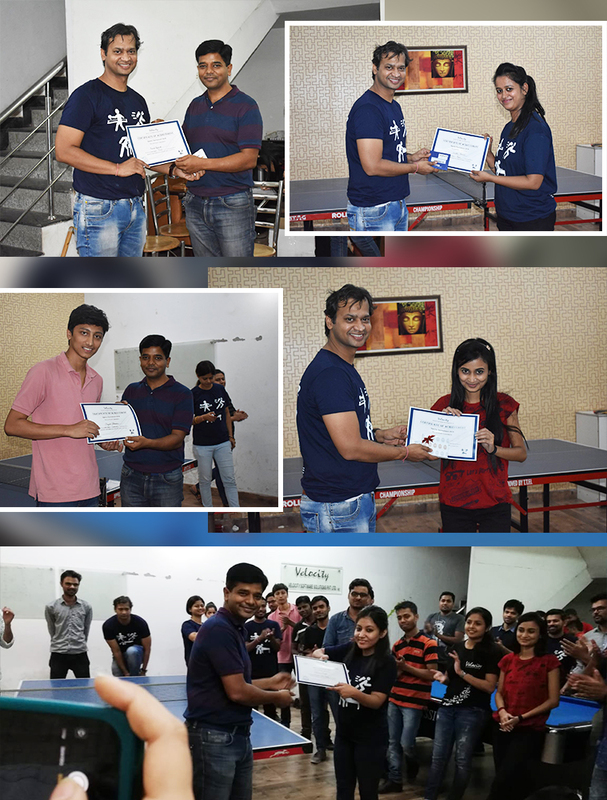 The wish was granted and the Velocity’s Annual Sports Meet was organized where all the employees had to participate. There was no backing out and there was no hiding from actively participating in the sports meet. In order to start with the preparations, trendy crew neck t-shirts were designed by very own web designer with the name and birth date mentioned in the back for every employee. The games that were organized included Carrom, Chess, Pool and Table Tennis. Starting on the 12th of June, the week-long sports saga came to an end on Friday, the 15th. The preparation and the practice matches had started a week before the actual tournament. With the gearing heat, it was certain that every single participant was enthusiastically ready to put in all the efforts no matter who the opponent was. Divided into groups in all the games, the matches started with the league matches (except chess) to make sure that the player who wasn’t too confident wasn’t left behind on the scoreboard. So, pushing the confidence level and motivating each other, all the league matches came to an end. Four participants from the game (one from every team) were supposed to come to the quarterfinals. All the matches going side by side, who knew that the Carrom matches would last longer than the Chess matches? Every game was absolute fun in their own terms and all the Velocitians were gearing up towards victory with full zest and preparation. Spending the lunches deciding what move to make on the chess board, chess was the most mind-boggling game of the decade for the players. Talking about the pool, it was the fate more than the aim that worked for the players. Even the pioneers who had been mastering the game for so long were left behind and so was the game of table tennis. Enjoying every bit of it, the participants who were no longer playing stepped into the play area just to cheer up the ones playing and boost their confidence. 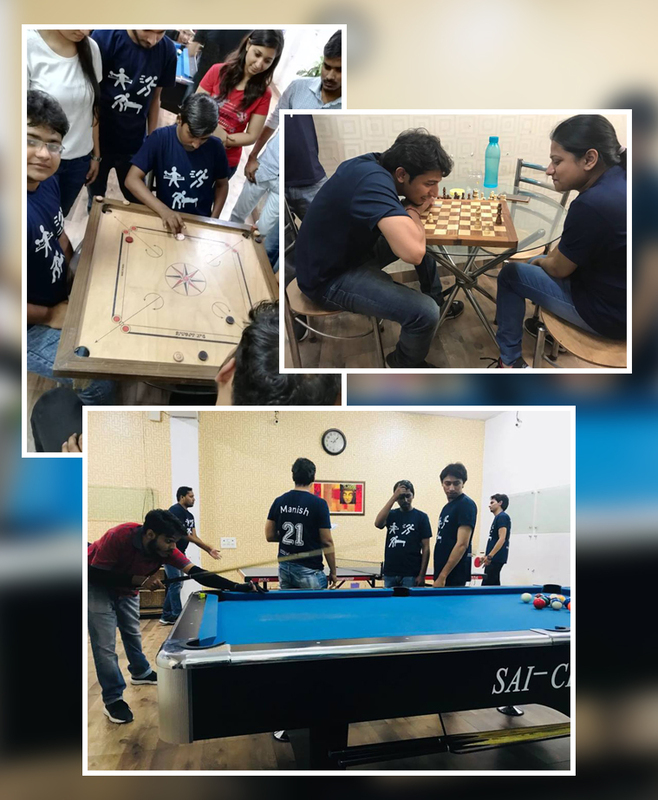 Some won and some lost the matches, but what everyone witnessed was that they all came together to open up on a sporty platform combating each other yet building up each other’s spirits. The images below are the winners in each category. Now, we all wait for the next Annual Sports Meet to take place in 2019 where the fun will be bigger and better with more games and sportsmanship.